Established in 2000, Telford Homes has grown steadily to become one of London’s largest residential developers. 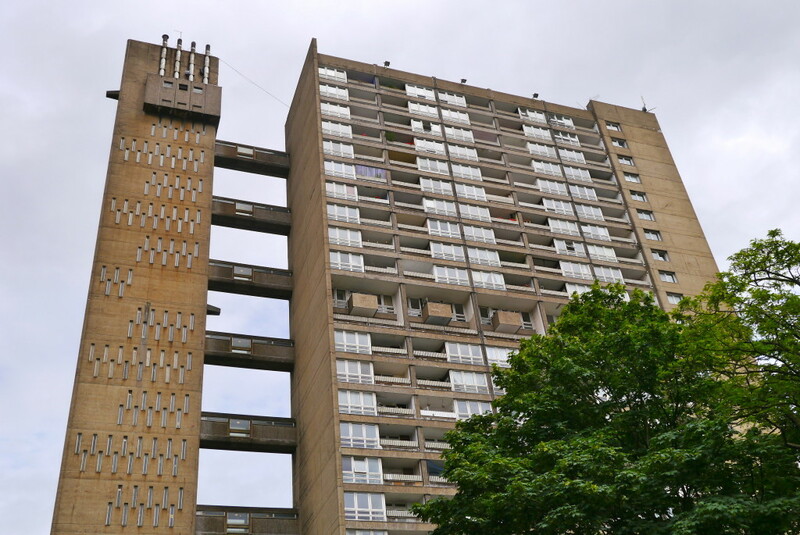 Telford homes are redeveloping Balfron Tower which was designed by legendary architect Erno Goldfinger, and constructed in 1967. It has some of the finest views over London’s ever changing skyline. 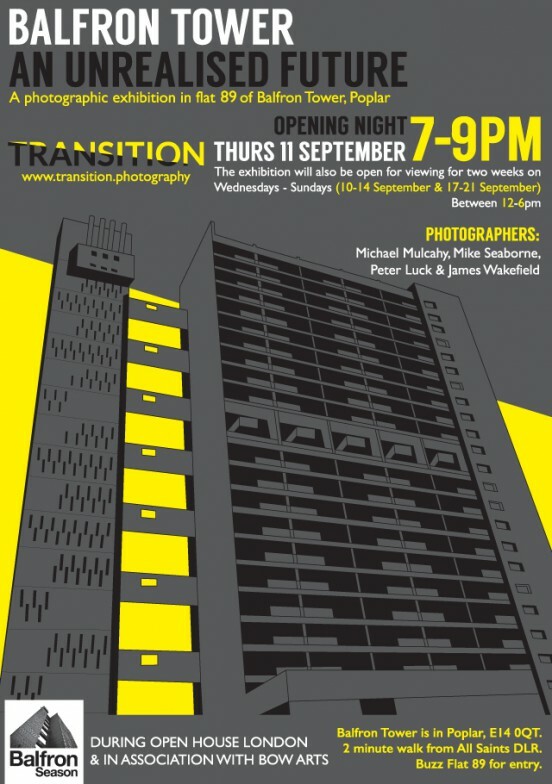 Balfron Tower is an iconic 26 storey grade II listed building in Poplar. The project involves the refurbishment of 146 existing homes. Telford Homes wanted to house their construction site teams in the highest quality accommodation for the period of construction. Premier’s 12m clear span modules with 2.7m ceiling height modules were the obvious solution. 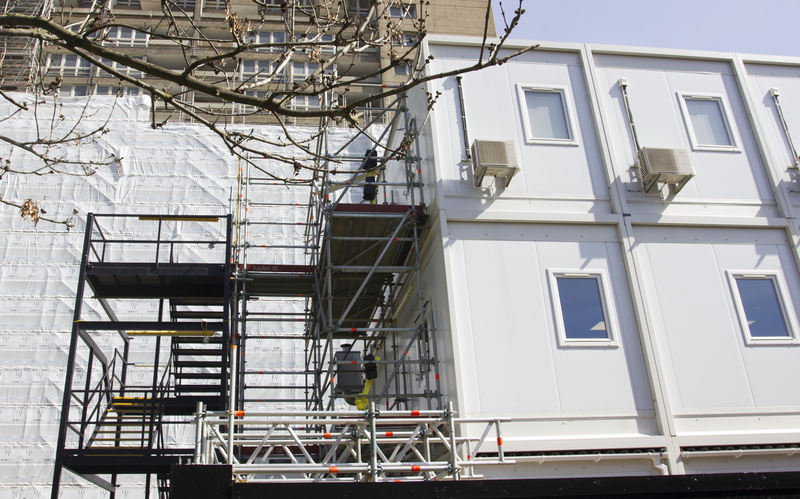 Premier were duly appointed to supply the 3 storey building comprising of 9 Modular bays. 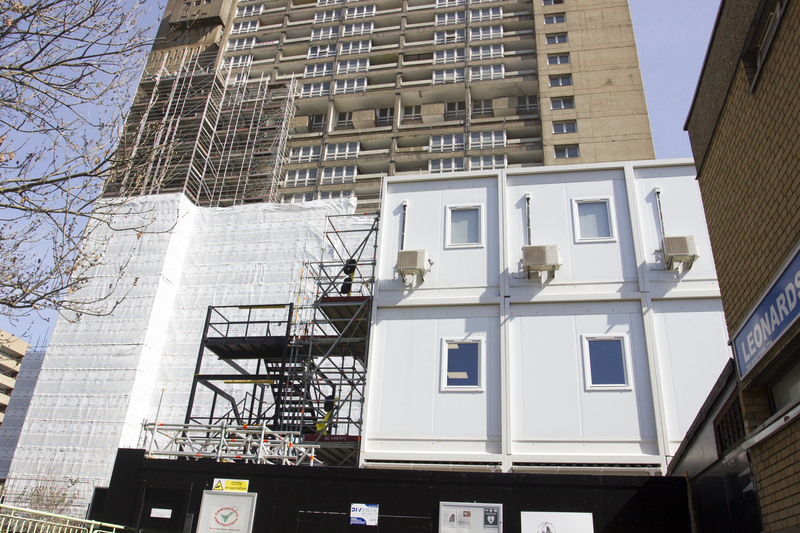 The building is being used for office and welfare facilities whilst Telford Homes Construction teams work on the re-development project of Balfron Tower, E14 in London. Premier’s Transline Plus product was ideal for the project requirements for this three storey facility. The complex comprised of 9 modular bays of 12m x 3m clear span, providing high quality and robust changing rooms, drying room, lockers, office space, and meeting rooms with WC facilities. The building was provided complete with an external staircase. All double and single doors were fitted with vision panels and UPVC windows fitted into the building.